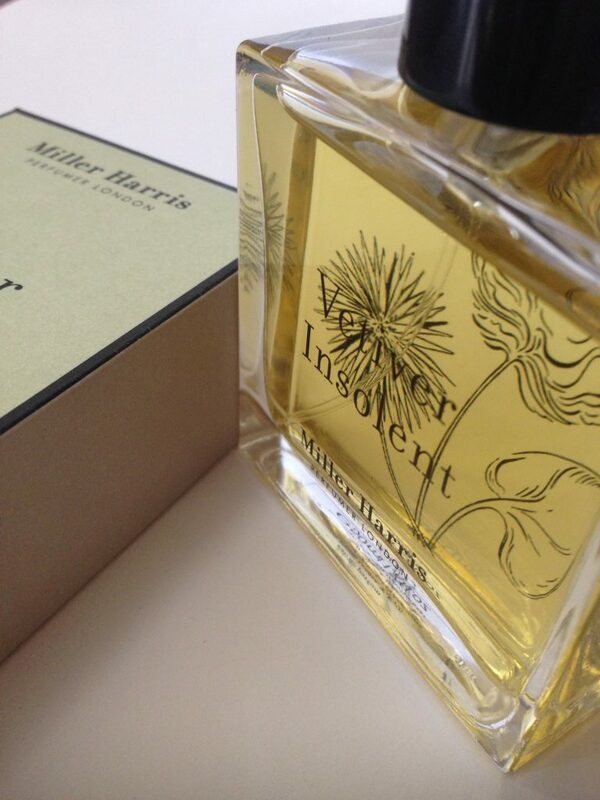 London-based perfumer Miller Harris have launched Vetiver Insolent, the fourth in their Editions collection of scents inspired by powerful and unexpected moments in life. 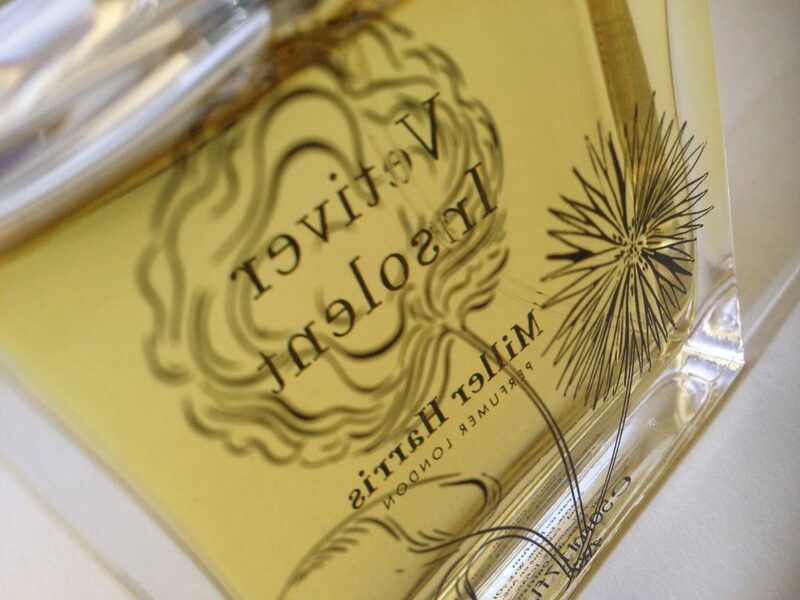 It was created by French perfumer Mathieu Nardin and comprises top notes of Italian bergamot, black pepper, elemi resin and Indian cardamom, heart notes of iris, lavender and amber, and a base of Haitian vetiver, tonka bean and moss. This is a unisex fragrance which veers towards the masculine – if you prefer sweet and flowery then it’s probably not for you. It does contain floral notes in the iris and lavender, but these are more in the background than the most prominent elements. 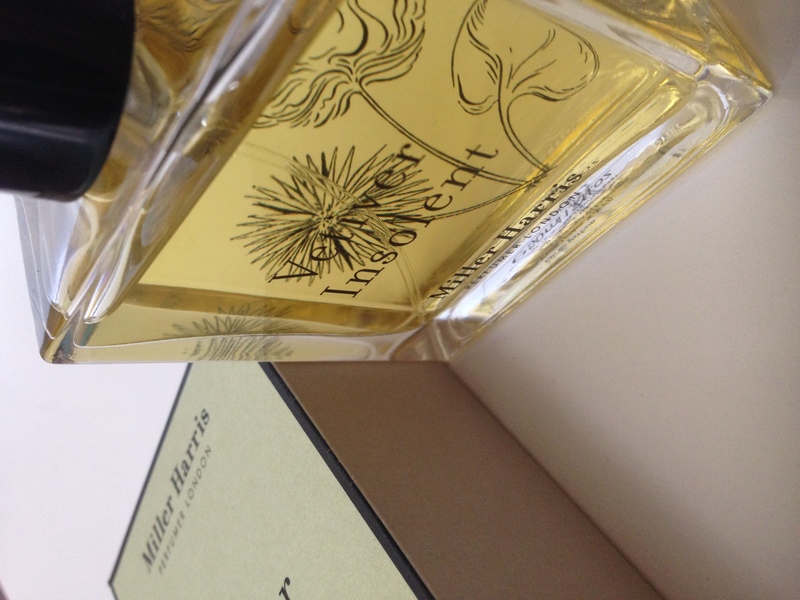 Vetiver is a tropical grass that’s native to India, although most of the vetiver oil used in fragrances usually comes from Haiti. It’s a smoky fragrance, most commonly used in products aimed at men, hence it’s unusual to find it in scents also aimed at women. Historically, vetiver has been used to make blinds in India, with the blinds giving off the vetiver scent when they are sprinked with water. Personally I love the idea of a unisex fragrance you can share with your other half – you’ll smell the same, yet slightly different depending on how the perfume reacts with your personal chemistry. I would have assumed that it was quite a grown up fragrance, but my teenager has been asking for repeated wafts of it so it seems to have a wider age range appeal. Or maybe she is just a lot more mature than me. Packaging-wise, it comes in a pale green and greige cardboard outer, with the glass bottle beautifully engraved with grasses and leaves. Given that this is quite a smoky, peppery fragrance, and you don’t get too many smoky interiors these days, I found that as a scent it was quite evocative of the past – it’s like a drift of incense at a Catholic mass, or that spooky wood at the end of season two of Twin Peaks. It reminds me of lots of things, whilst also being like nothing I’ve ever smelt before. 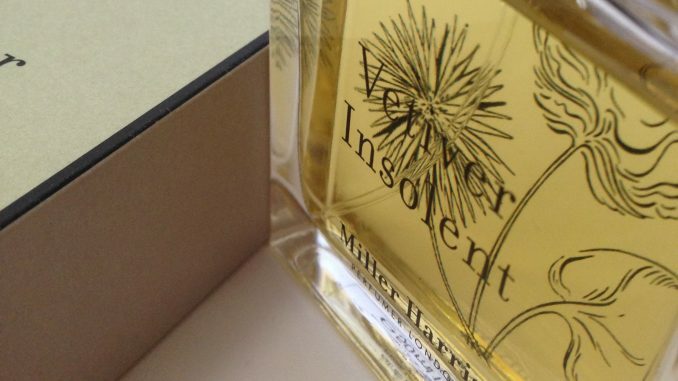 If you want an unusual, spicy signature perfume, this is it.